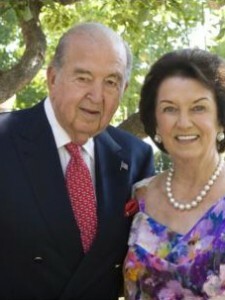 Throughout the past 30 years, General William and Willa Dean Lyon have been an integral part of many Orange County philanthropic organizations. Their dedication to improving local art and education programs is seen through their leadership within Orange County – as key supporters of Orangewood Children’s Foundation, Santa Margarita Catholic High School, Segerstrom Center for the Arts and much more. Their generosity and desire to make a difference has helped tens of thousands of people in the community. 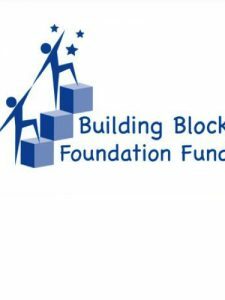 Building Block Foundation Fund was established to help disadvantaged children in Orange County. Created in 2004, Building Block is a philanthropic organization for the commercial real estate industry that brings together real estate professionals to support a common goal. The program was designed to enable the commercial real estate community to give back in an organized and meaningful way for the long-term future of Orange County. Ralph B. Linzmeier, Jr. has devoted most of his life to service for others. Having recently been awarded with the Pope St. John Paul II Award for Diligence, Linzmeier founded and chaired the Annual Men of Character Award for the Boy Scouts for the past 15 years. As a supporter of youth services, he is also vested in Catholic education – having co-founded Serra Catholic Grade School in the 90’s. 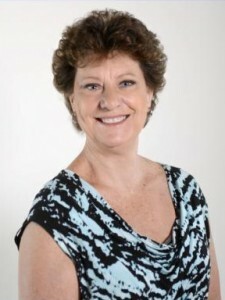 Currently, Linzmeier is the Managing Director, Wealth Management, Financial Advisor and Senior Portfolio Management Director at Morgan Stanley in Irvine. 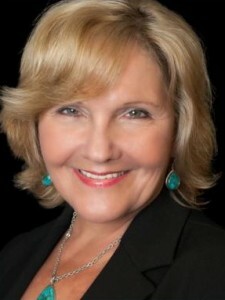 Je’net Kreitner is the Founder and Executive Director of Grandma’s House of Hope whose mission is to empower the Invisible Populations of Orange County, those who truly fall through the cracks. She founded GHH in an effort to give back to a community that helped her rebuild her life after she experienced an episode of homelessness in 1991. 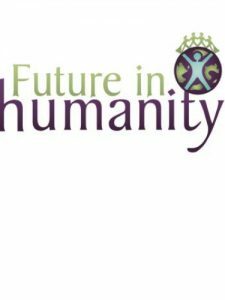 Currently, Kreitner is serving a two year term on the Anti- Human Trafficking Congressional Advisory Committee and is involved in the Continuum of Care 10 year plan to End Homelessness in Orange County. 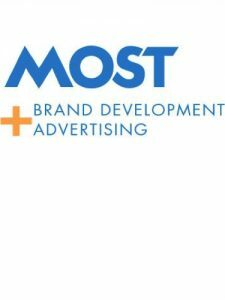 MOST Brand Development + Advertising is a brand development advertising agency that elevates every brand they sink their teeth into. From individual products to parent companies, their focus on people and potential leads them to discover what a brand means. 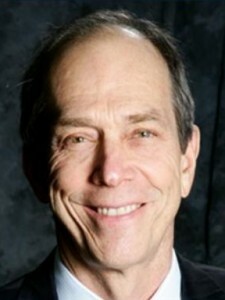 Founded by John G. Most, the company is the brand development and marketing partner for the Pacific South Coast Chapter of the MS Society and has been involved with the organization for more than 10 years. 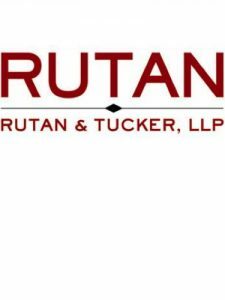 With offices in Costa Mesa and Palo Alto, Rutan & Tucker is California’s largest full-service law firm headquartered in Orange County, California. Rutan & Tucker is recognized as a company that has created a culture of philanthropy and has demonstrated an outstanding commitment to philanthropy through its financial support of one or more nonprofit organizations, leadership involvement, and volunteer participation and commitment of its workforce in establishing a role model for other businesses in our community. 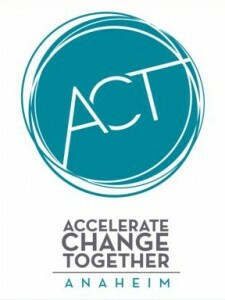 Launched in November 2013, Accelerate Change Together (ACT) Anaheim is an initiative managed by the Orange County Community Foundation dedicated to meeting the needs of youth in Anaheim. With inaugural funding from the Disneyland Resort, Angels Baseball, the Anaheim Ducks and the Orange County Community Foundation, ACT Anaheim aims to provide a targeted philanthropic response to the challenges of serving youth in California’s 10th largest city. Ariel Yarrish at the young age of 20 founded Future in Humanity in 2011, a non-profit organization that empowers change throughout communities. The group connects the community to the problems in their local area to the resources necessary for every person to progress with hope for their future and to support those who suffer in school, at home and in society. Yarrish recently received the Women of Distinction award through the 65th Assembly District in honor of Women’s History Month, from Assemblywoman Sharon Quirk-Silva.